Kungfu4less.com provides different varieties of uniforms, training gears. Nunchakas (nanchaku), Tonfa, Sai, achievement medals. 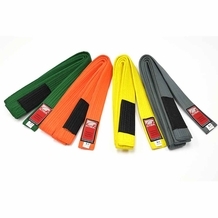 These products are for people of different age groups, preferences etc participating in martial arts. Martial arts are practiced for different reasons like self-defense, physical fitness, mental and spiritual development. The number of people participating in martial arts is increasing day by day. 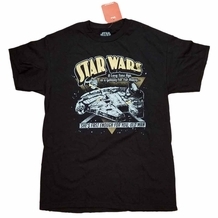 Like other sports, martial arts have their unique equipment, uniforms, and necessary accessories. Kungfu4less.com has been created with the intention of making things simpler for those that pursue the martial-arts mindset, from the novice student to the Master of Masters the Sirhan. 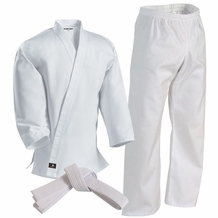 We are offering a variety of uniforms like Taekwondo uniforms, Karate gi's, Judo gi's, Jiu-Jitsu gi's, Hapkido Uniforms among others. These uniforms are manufactured keeping in mind the traditional martial-art standards while providing a uniform that is both functional, comfortable but will also stand up to rigorous use. Different types of rank belts are also available. These belts display the proficiency of a player in his/her chosen martial art. Sparring equipment is used in martial arts for protection. We offer a huge stock of quality safety equipment and sparring gear at affordable costs. We strive to sell all sparring equipment at the lowest price possible so that everyone can afford to protect themselves from injury.